Queen Victoria became queen of Great Britain and Ireland in 1837. She was 18 years old. She liked: visiting Scotland, painting pictures and singing. In 1840, she married her cousin Prince Albert. They had nine children together and made it clear that they believed a good family life was important. Many ordinary people wanted to follow their example. 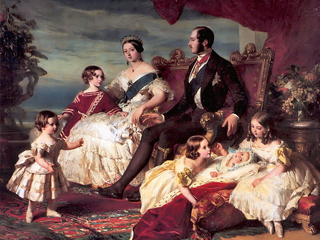 In 1861, Prince Albert died and Victoria kept away from public life as she mourned him. This made her less popular.